To the dismay of many observers, US treasury yields have been dead as a doorknob despite the 20% rally in stocks over the last three months. 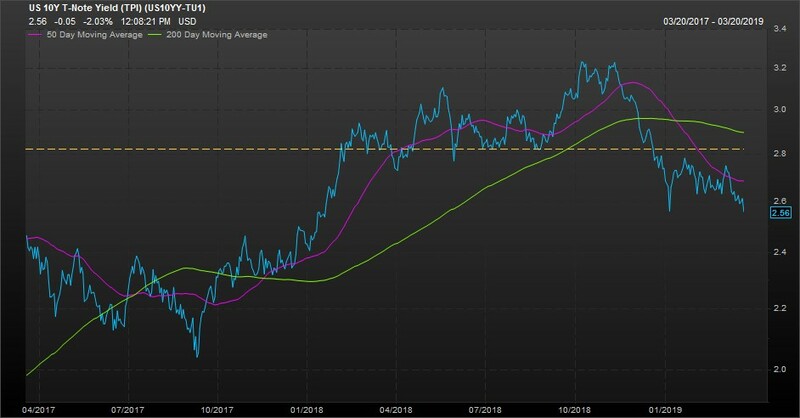 In fact, the US 10-year yield is on the verge of breaking below the 2.56% level it reached on January 4th when recession concerns were flaring. 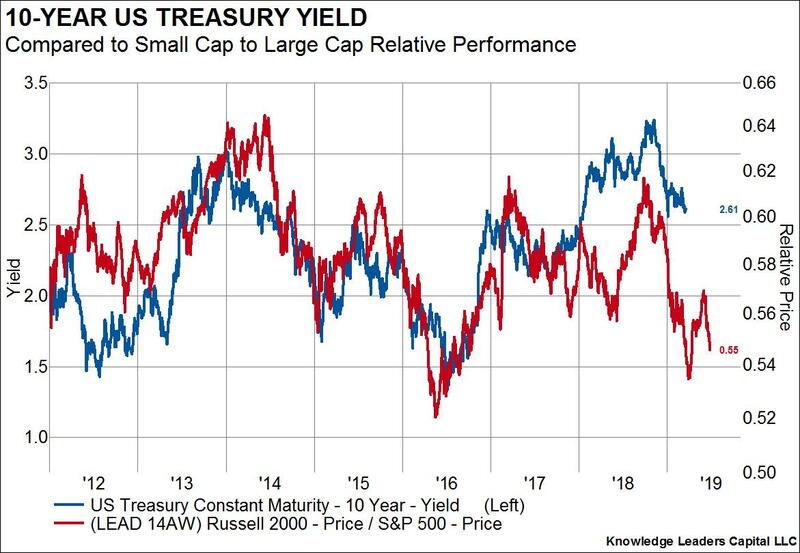 This obviously begs the question of what US yields are sniffing out that equities are not? It’s a fair question, but the answer isn’t necessarily one that results in a binary outcome of stocks up>rates up, stocks down>rates down. 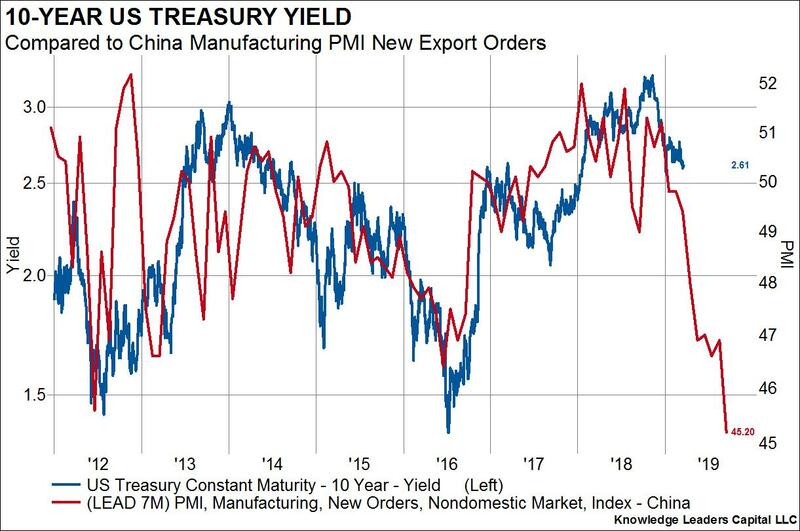 In other words, rates can perfectly well head lower even as stocks chug higher if the right mix of declining growth and inflation is commingled with accommodation monetary policy. Indeed, that is exactly what we got in early 2016 when 10-year rates fell from 2.32% to 1.36% over the span of six months while stocks rallied by 17% from the February ’16 lows into July of that year. That setup looks similar to today and several leading market indicators are telling us so. 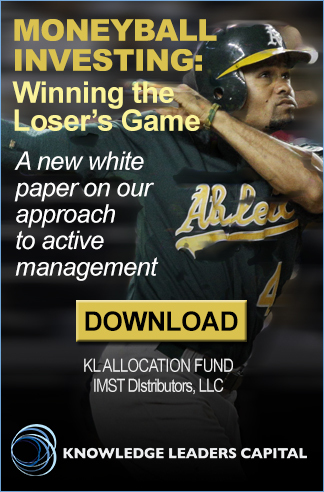 Finally, it’s useful to overlay econometric and market indicators against positioning. 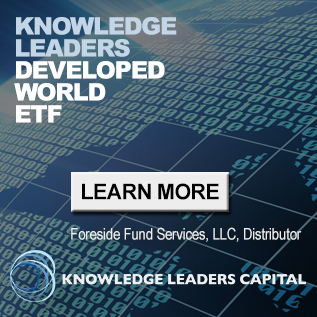 After all, if the whole market is on one side of the boat then the positioning effect alone could overwhelm more fundamental drivers of value. So, in the last chart we plot US yields against speculative options and futures positioning in the US 10-year note. The red line showing the net position of speculators is plotted on the right, inverted axis. We note that at major turning points in yields the speculators tend to have accumulated extreme levels of short or long positions. 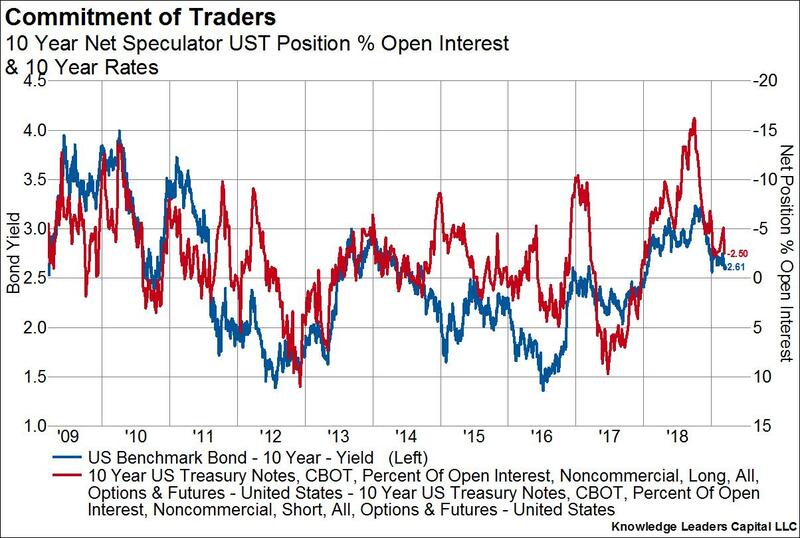 For example, as rates were peaking back in the middle of 2018, the speculators were net short US bonds (betting that rates would continue to rise) by the largest amount on record. At that time, the speculators were all on the same side of the boat and that helped put a cap on rates. In contrast, speculative positioning in bonds is currently neutral, suggesting rates could continue to fall for quite awhile until the broad market positions itself for even lower rates.